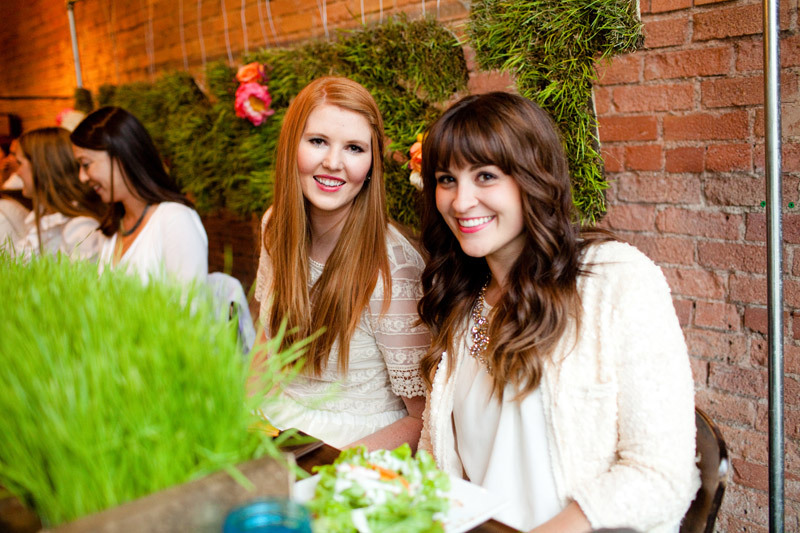 We’re excited to share some captures from co-hosting an opening night dinner with our friends at the Honest Company for Alt Summit’s inaugural Summer session in Salt Lake City last week! We created this party theme based on all the things we love about Honest and their products. Natural, healthful, conscious, and beautiful. 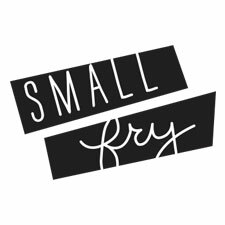 We also selected the farm-to-table restaurant Pago knowing they were the perfect fit for Honest’s credo. Here’s what we came up with! We were set on the idea of dining outside, it being the first chance for Alt SLC attendees to do so (no thanks in January!) but the most uncharacteristic cold spell hit earlier in the week and the night of the dinner it was only about forty degrees and freezing rain. Luckily, the restaurant’s indoor aesthetic is just as charming as their patio, so we brought all the elements in. Emily’s husband created the grass-covered letters and built the grow-boxes of wheat grass. Ashley of Merit & Vine added her floral touches throughout the restaurant which made every detail that much beautiful. We had eaten at Pago as a Small Fry team last year and everything was delicious, combine that with using local ingredients and consciously cultivated animal products, it made it really the only choice for this dinner with Honest! 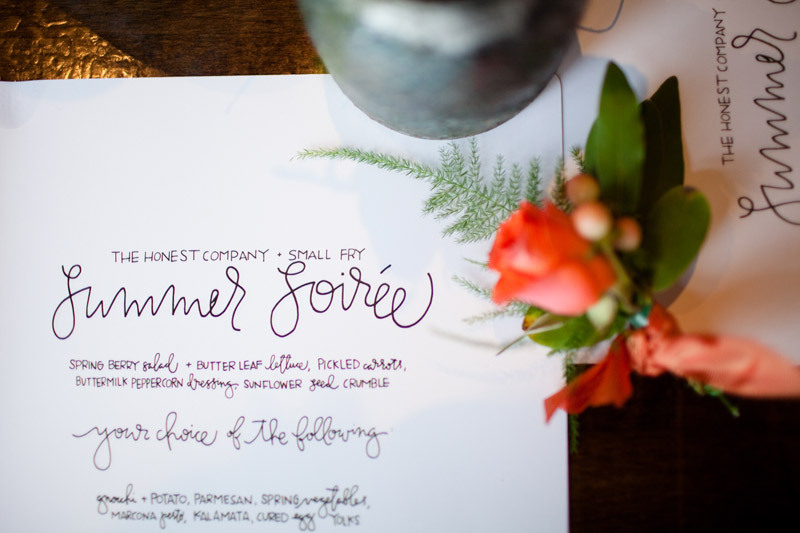 Hello Maypole custom lettered the hand-picked menu for our dinner. 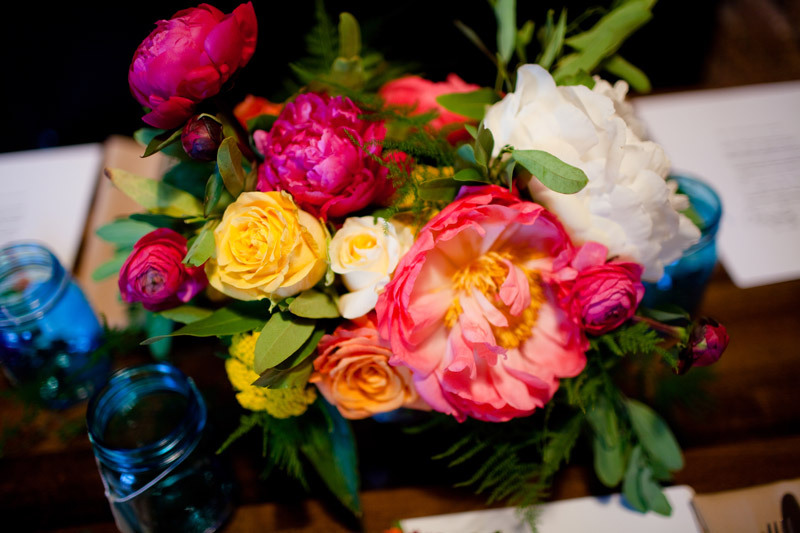 Merit & Vine also created bouquets for the tables, and small personal bouquets that could either be pinned in your hair, worn on the wrist, or attached to your clothing. We found these amazing Honest blue colored Ball Jars that Pago let us swap out for water glasses. And our friends at Honest – Sarah, Tanya, Jenny and April. We loved continuing our dinner tradition with sending guests home with Succulents from Sun River Gardens (located in Orem, UT!) These ones were all planted in beautiful mercury glass vases. Our Summer Soiree had a white theme which looked so beautiful against all that grassy green! As always we love spoiling our guests! Honest hooked us up with a sampler of fan favorite products like their lotion, body wash, multi-surface cleaner and more! Company co-founder and actress, Jessica Alba’s book The Honest Life, wipes, lip balm, and totes to carry it all in! 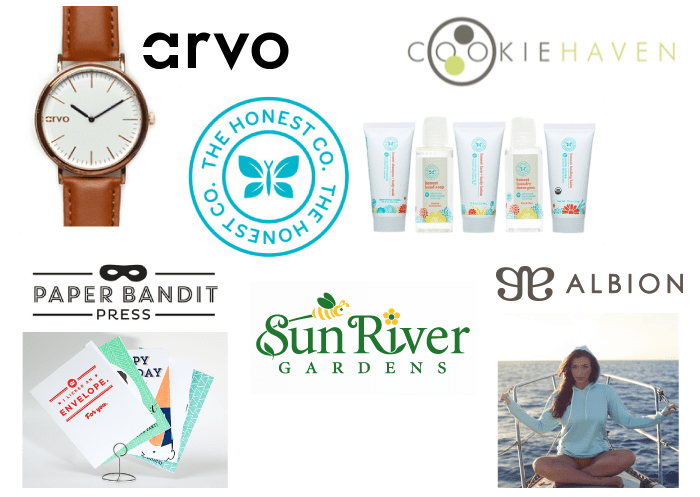 We added our favorite Albion Fit hoodie, gorgeous Arvo watches in rose gold, cookies from Cookie Haven, and funny cards from Paper Bandit Press. I hadn’t seen Paper Bandit Press’ stuff before, and it’s awesome. Thanks for sharing that (also: your party is awesome. That’s some seriously good work). This all was so amazing! Thanks again!